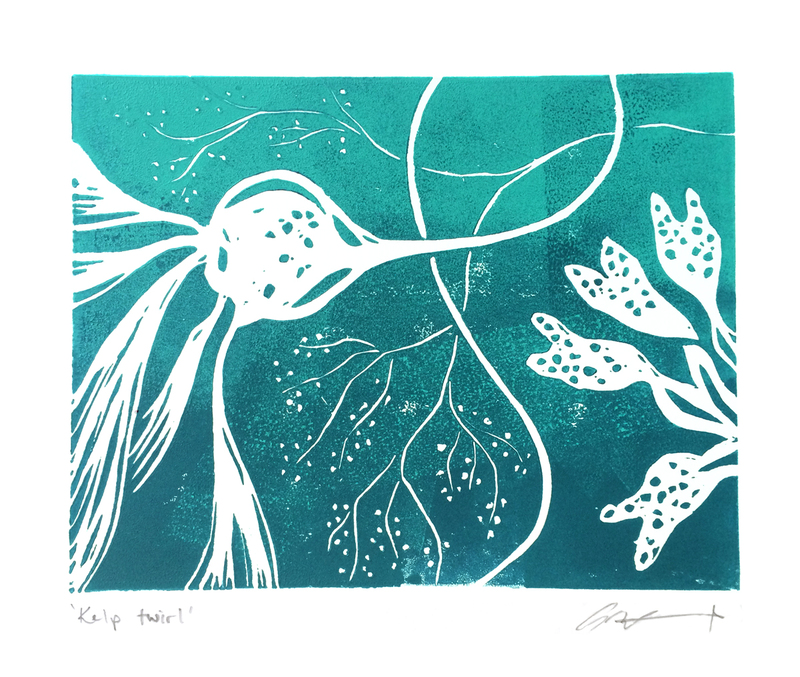 'Kelp twirl' is a completely hand-made block print. It has a gentle gradation of colour mimicking the darkness of the deep sea up to the lighter colour of water at the surface of the ocean. I created this print as part of an outdoor art competition. I was stationed on a tiny beach in Victoria, BC. 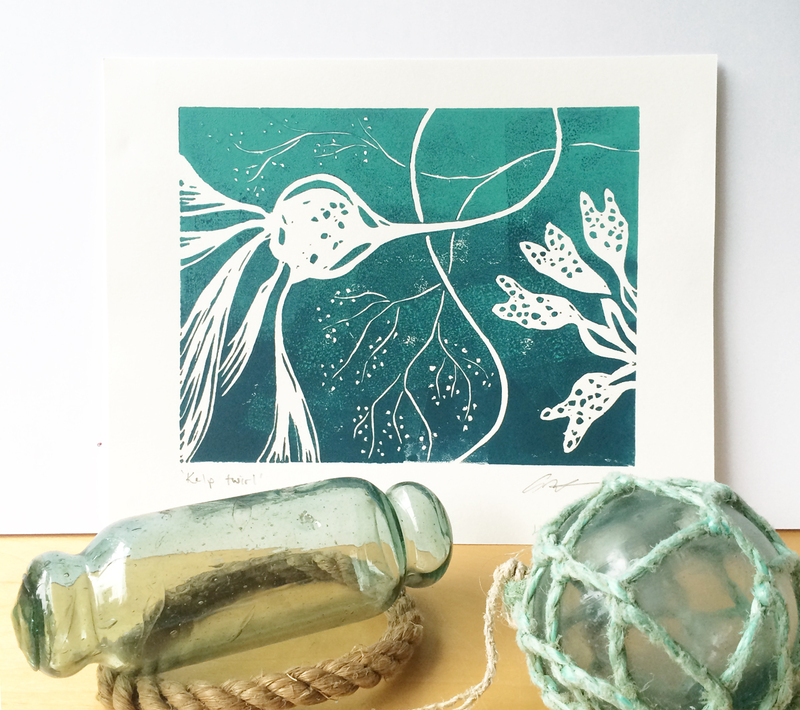 I sketched sea plants right at the waters edge and turned them into this design. A small bull kelp, popper seaweed and the witch hair seaweed you can wear as a sea-wig. Those are not all scientific names. 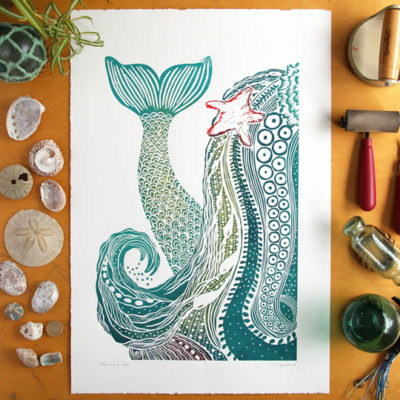 Linocut is a blockprinting technique, similar to woodcutting. 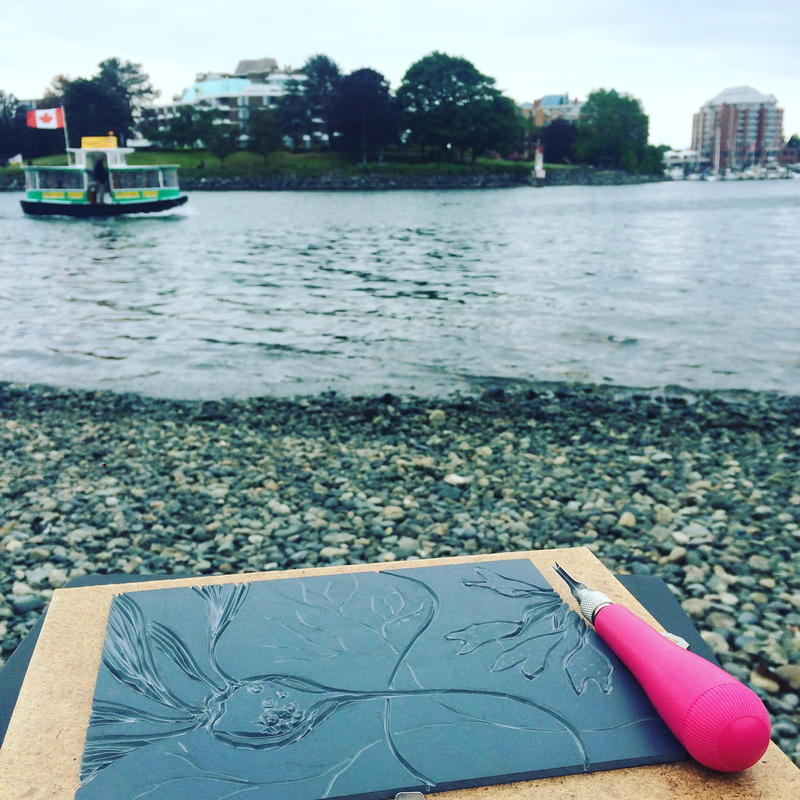 A design is cut into a piece of linoleum with carving tools such as sharp knives and chisels. 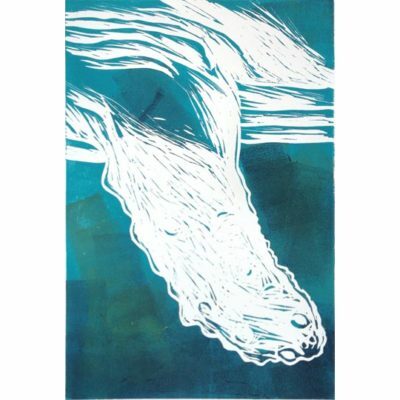 Ink is rolled over the linoleum surface and then press onto paper. All my prints are my original designs, hand-carved by me. 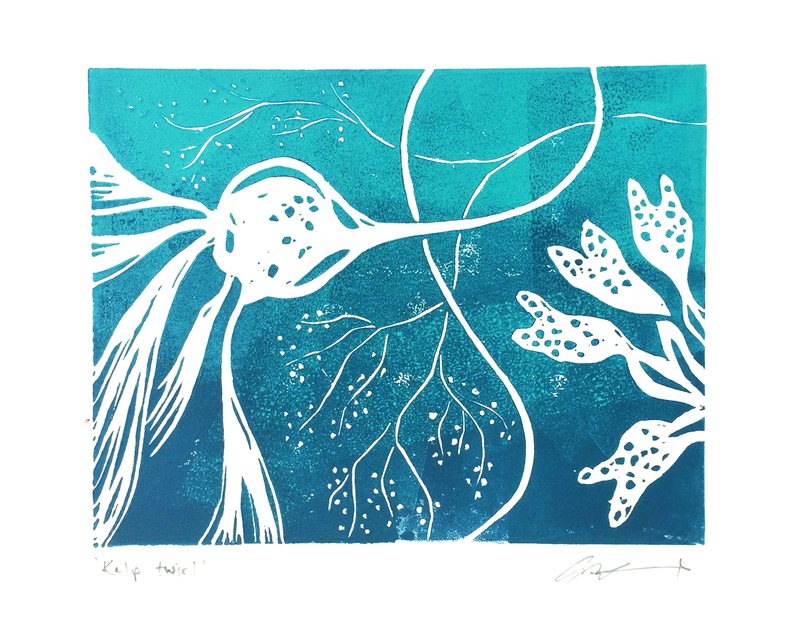 I ink and print each one by hand so every print is unique and colours vary slightly from print to print. 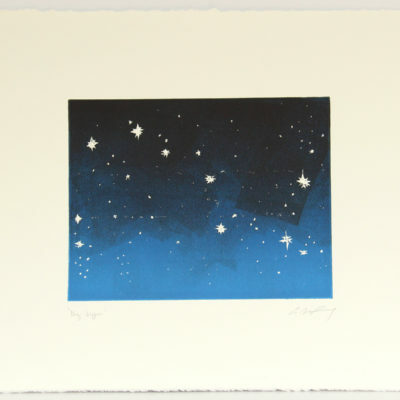 The print size is approximately 8″x6″ and comes on either 10″x8″ or 15″x11″ Stonehenge 100% cotton deckled paper. This can be framed in a standard 8″x10″ frame, or 11″x14″ frame, or for a more gallery feel it fits in a 16″x20″ frame with a matte.